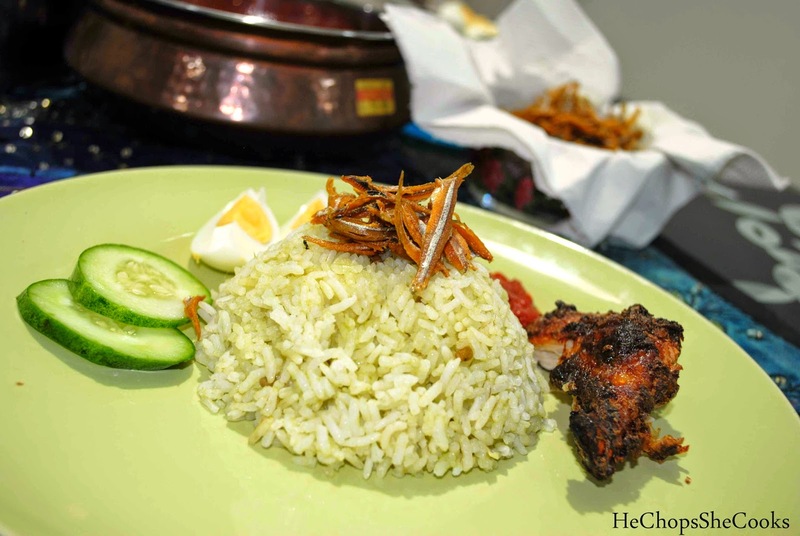 Nasi Lemak Pandan is a fragrant rice cooked in coconut milk, fenugreek, lemongrass, onion, ginger, pandan leaf. 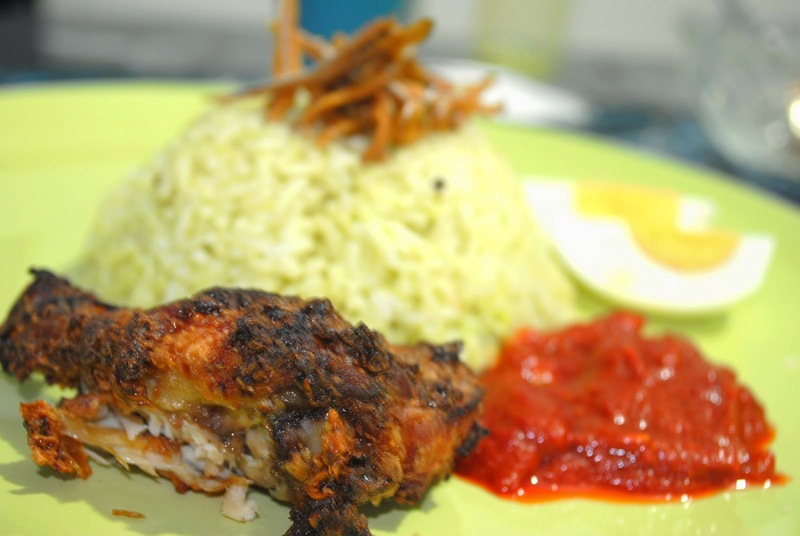 This delicious rice is a common meal in Malaysia. One of Malaysian favorite food. 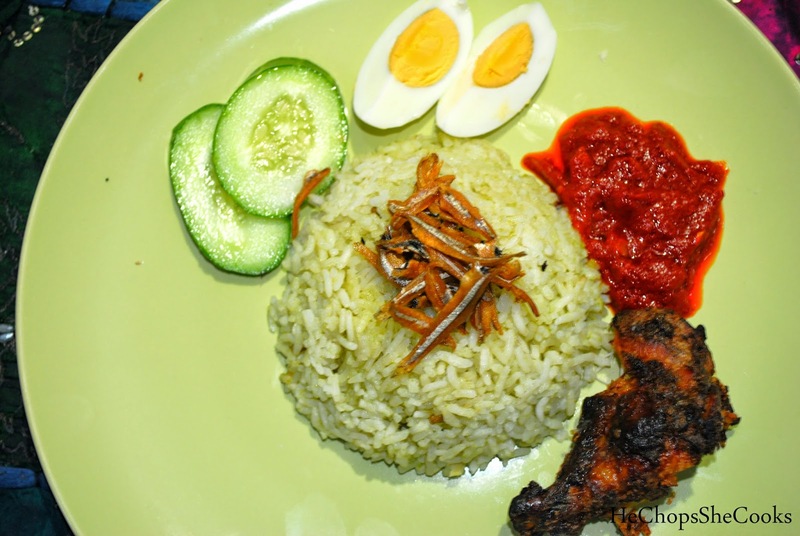 We usually have it during breakfast, however, because of the Nasi Lemak''s versatility in being able to be served in a variety of manners, it is now served and eaten any time of the day. Nasi Lemak Pandan is served with anchovies, cucumber, boiled egg, peanuts and traditional hot spicy sauce (sambal). Nasi Lemak is rich and creamy from the cooking process whereby rice is soaked in coconut cream and then the mixture steamed. You can also add fried chicken, sambal sotong (cuttlefish in chili), cockles, rendang daging ( beef stew in coconut milk). 4 stalks of Pandan Leaves, blend to get the juice. Just like making steamed rice, rinse your rice and drain. Add the coconut milk, fenugreek, Pandan juice, lemongrass, onion, garlic, ginger a pinch of salt, and some water. Add the pandan leaves into the rice and cook your rice. Blend all the ingredients above into a paste except the anchovies and tamarind pulp. Soak the tamarind in the water, squeeze the tamarind constantly to extract the flavor into the water. Drain the pulp and save the tamarind juice. Heat the wok on medium heat, add in oil and slowly add in the your chili paste to bring out the fragrance and keep on stirring so that the oil and paste blend together. Add the anchovies and stir well. Add in the tamarind juice, salt and sugar. Simmer until the sambal becomes thickened. Set aside. Serve with cucumber, and hard boiled eggs. Yessss!!! Any time of the day Shazzy. Sambal sangat sedap. Tak tahan tengok.